Turns out, it’s in fashion to support Hillary Clinton in 2016. 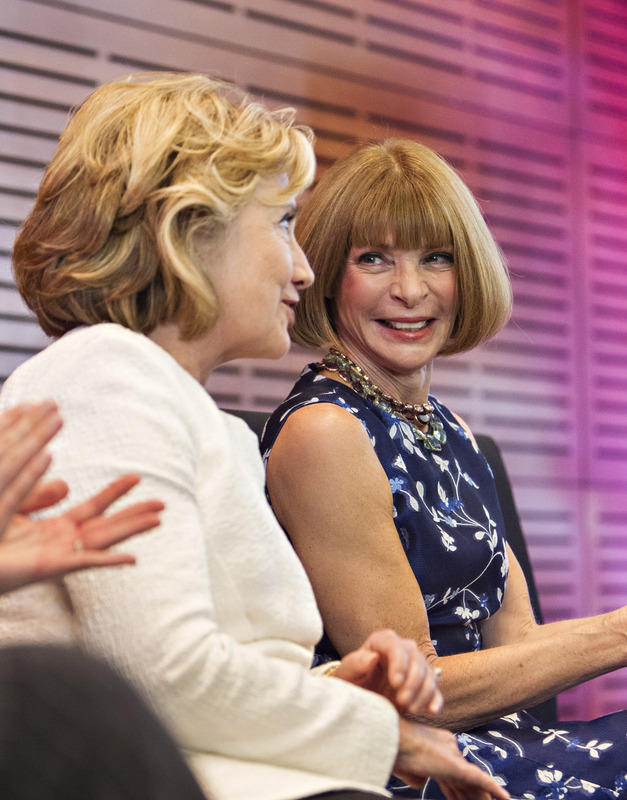 In an interview with New York on Monday, Vogue editor-in-chief Anna Wintour said she plans to support Clinton in the unfolding presidential election. Admittedly, this isn’t all that much of a surprise, considering Wintour is a supporter and fundraiser for Obama. Also, a huge fan of First Lady Michelle Obama. Also, Clinton has a longstanding relationship with the fashion magazine. But still: awesome. Clinton first appeared in Vogue in 1993, when she was first lady. In December 1998, Clinton did another interview with Vogue and became the first first lady to appear on the cover of the iconic fashion magazine. Then, last year, Clinton chose Vogue as the magazine where she excerpted portions of Hard Choices before the book hit shelves in June. All in all, The Washington Post estimates that Clinton has appeared in Vogue on seven separate occasions. However, in 2008, Clinton’s smooth relationship with Vogue hit a small bump. When Clinton was last running for president, she decided to pull out of a Vogue shoot at the last minute because she feared appearing in the magazine would make her appear too feminine or glamorous, New York reported. Wintour responded to Clinton’s decision by writing an editor’s letter expressing her disappointment. Imagine my amazement, then, when I learned that Hillary Clinton, our only female president hopeful, had decided to steer clear of our pages at this point in her campaign for fear of looking too feminine. The notion that a contemporary woman must look mannish in order to be taken seriously as a seeker of power is frankly dismaying. Everyone’s completely entitled to make their own decisions on the public appearances the might make. I think that Secretary Clinton was in the magazine after that. I understand that politicians have certain parameters and that’s, you know. They — they have their needs, and we understand and appreciate that. Moreover, after the incident in 2008, Wintour even contributed to Clinton’s campaign committee to help pay off debts after she lost the Democratic primary. While this indicated long ago that Wintour and Clinton’s old friendship was still intact after Clinton’s 2008 decision, Wintour's response in Monday’s interview cemented the fact that the Vogue editor is all about Hillary in 2016. And so far in this election, Clinton does not seem to be afraid of appearing "feminine." As CNN so aptly put it, "This time, Hillary will run as a woman." If Wintour offers Clinton a second crack at appearing in Vogue in 2016, it’s likely that Clinton would accept.